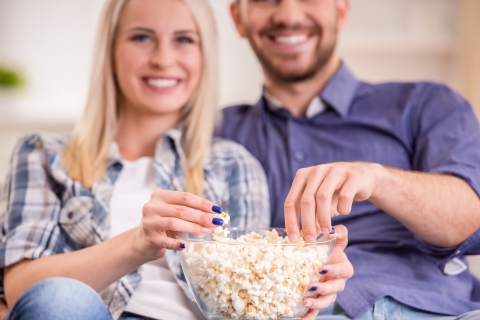 One of the best date night ideas is dinner and movie, right? It’s a class first date and has limitless potential for fun, laughter, and entertainment. What better way to get to know something than to quiz them on what pizza toppings are their favorite? If they say anything at all, they’re a keeper — because everything is allowed on a pizza. The real question is, what movie do you watch? 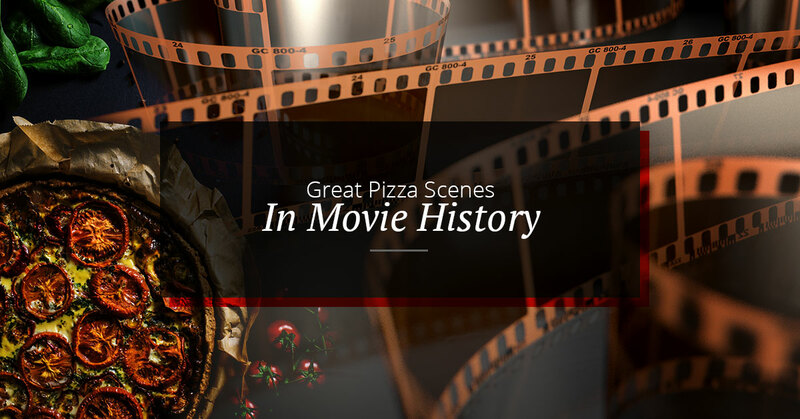 If you’re a true pizza lover, you’ll watch one of these films that features a classic pizza scene. In this classic scene, Wayne is being pushed to give concessions to a sponsor. He replies he won’t bow to any sponsor. Meanwhile, Pizza Hut, Pepsi, Doritos, Reebok, and Nuprin are getting prime screen time. If you’re watching this movie, it’s clear who made the final decision on movie night, but that means the other person gets to pick the pizza. But really, who wouldn’t want to have a relationship with their pizza? It’s always there for you, it gives you everything you need, and it’s always comforting. Especially when that pizza is a Margarita from Naples. We sincerely hope that this isn’t the way we make pizza in the future. But the gadgets do seem neet. Any date when you’re watching any of the Back to the Future movies is a win. Just be sure that you order a pizza that takes longer than five seconds to cook. A Spike Lee classic, everyone will be happy watching this movie that takes place in Sal’s Pizza. The owner of said pizzeria is an Italian-American serving subpar pizza to a customer who just wants to be fairly represented. Don’t worry, at Upper Crust pizza, we guarantee that you’ll get the best service with only the best pizza in Santa Fe. When you want your favorite pizza, you just want your favorite pizza! But in this case, if Kevin got what he wanted, we may have been watching a much different movie. Full of laughs and a happy ending, you can’t go wrong with Home Alone, just stop after the first one. Everyone’s favorite movie when they were young, the scene where the pizza delivery guy slips the box through the grate is probably ingrained in your mind. Michelangelo gave everyone a reason to not pay full price for a late pizza. At Upper Crust, we’ll always deliver your pie hot and on time. 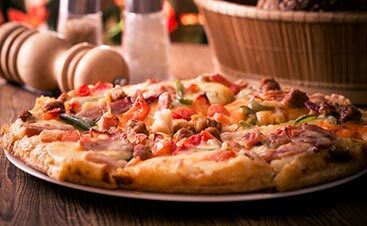 Whether you’re going on a dinner and a movie date or having your pizza delivered at home, with Upper Crust Pizza, you know you’ll have a memorable night. 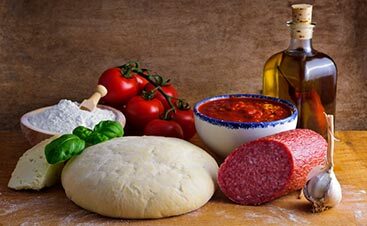 Our pizza is always made with fresh ingredients, cooked to perfection, and is brought to you steaming and delightful. 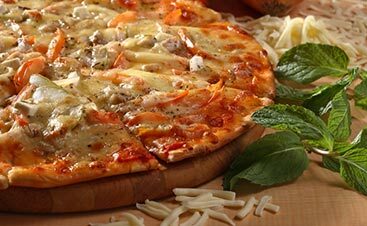 Order up a New Mex, Grecian Gourmet, or a classic Margarita and you can experience the taste of Santa Fe pizza. Visit us tonight and we’ll treat you like family.